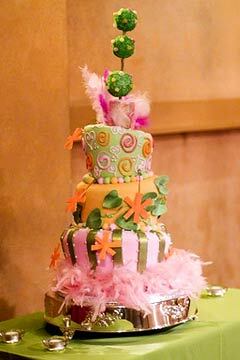 Topsy turvy cakes are eye-catching and the talk of any party. Your wedding guests will marvel at the incredible balancing act, moving in closely to investigate how it was all created. 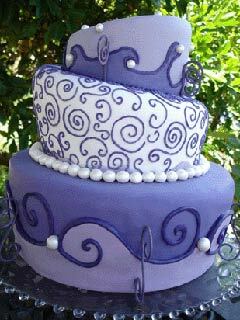 And what I really love about these cakes is that they are a true artpiece and serve as an amazing centerpiece at any party. The amount of work that goes into one of these creations is worth the amount of attention it gets. 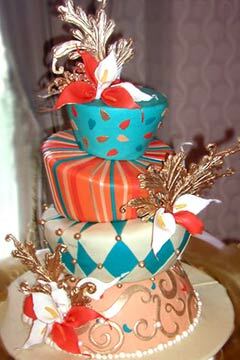 By choosing topsy turvy wedding cakes, the bride and groom really get to show their fun and creative side at what would normally be quite a formal event. 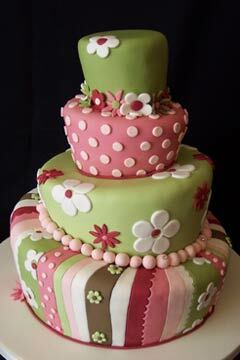 A topsy turvy cake is usually colourful, with fun polka dots, scrolls and squiggles, creating the fun side to the wedding cake design. 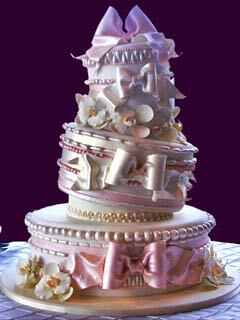 But there are some wedding cake designers that create these topsy turvy wedding cakes in just white and decorating it with fun colourful florals. 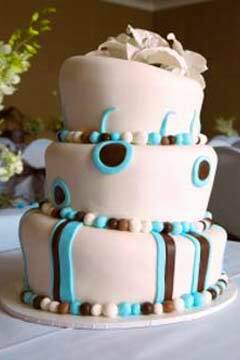 Feast your eyes on these unique and very creative fun cakes. 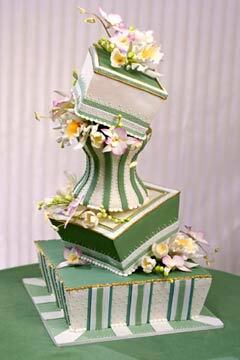 These fun novelty cakes are also the perfect whimsical centerpiece at the wedding reception. 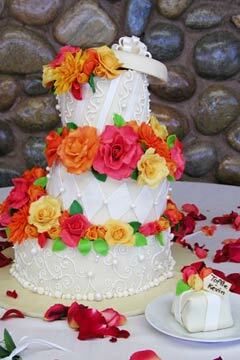 Small three tier white and blue mad hatter wedding cake with a lovely white handmade gumpast floral topper.